Attracting over 36,000 likes, 7,000 retweets and countless comments, Arvind Kejriwal’s jab at Modi over the recent assembly election result on Twitter, is quite a hit. One of the most popular Indian politicians on Twitter, Kejriwal, is second only to PM Narendra Modi . With a whopping 14.2 million followers on Twitter, the Delhi Chief minister is pretty active on social media much to the delight of trolls and supporters alike. Tweeting almost regularly, Kejriwal is quick to react to the daily affairs of the country and leaves no opportunity to attack his political rivals. In doing so, his tweets often rake up controversies which draw in endless lashing. Hell, hath no fury like twitteratis scorned. With hashtags like #vulturekejriwal, Twitter users spare no chance at roasting him. Trolls seems to be always ready to take a dig at him with memes that are as scathing as they are witty. 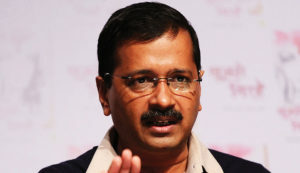 Yet one cannot simply overlook his popularity on social media, being one of the most followed political leaders in the entire country, let alone Delhi — much ahead of the likes of Rahul Gandhi and Amit Shah. 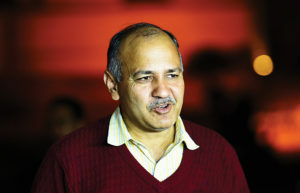 Sisodia has a very active presence on twitter, with daily updates focusing on the capital’s state of education. His visits to schools and interactions with students are always mentioned in his Twitter feed. Following close behind with 1.73 million followers is Harsh Vardhan, Union Minister for Science and Technology, Environment and Climate Change from the constituency of Chandni Chowk. With occasional tweets pertaining to his own ministry, his Twitter feed seems to be more of a calendar. From congratulating and paying tribute to Ravi Shankar, Dilip Kumar, Rajnikanth, Pranab Mukherjee and Sonia Gandhi, his Twitter account is dedicated at never letting his followers miss any popular personality’s birthday. Not restricting himself with just birthdays, his tweets are also a reminder for observances like Armed Forces Flag Day, Human Rights Day and International Volunteers Day among others. Tweeting mostly in Hindi, this seems to have worked in his favour. According to a report, Hindi tweets bring in considerably more traction than tweets in other languages. 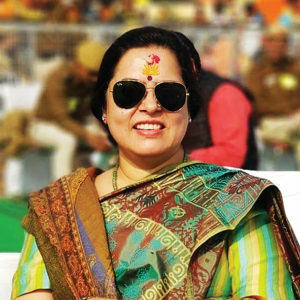 Meenakshi Lekhi, another MP from Delhi has quite a following on twitter with 1.52 million followers. The national spokesperson of BJP, she sure has a lot of good things to speak about the nation. Her Twitter feed is littered with photos of her visiting temples and celebrating different festivals. “From Ramleela, Dandiya, Durgapuja to Garba; We celebrate our unity of culture. Festivals are for all to participate & celebrate. I can’t relate to Talibanic forces notwithstanding commonality of food or language,” reads one of her several tweets. These loaded statements seem to be her way of promoting a ‘diverse and united’ India. 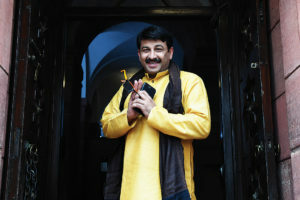 The Delhi presidents of Congress and BJP are also not far behind, with Ajay Maken having almost seven lakh followers and Manoj Tiwari with over six lakh followers. Uploading small snippets of his performances and speeches at public meetings that draw in hundreds of likes, Tiwari has created a fan following for himself. Despite not being on the top of the list when it comes to followers, the Delhi Traffic Police Twitter page stands out as a clear winner when it comes to being active. With constant updates about traffic across the city and video and photo advisories educating the public about safety measures, Delhiites do not have to go far to learn about the traffic situation in the city. The account has 1.1 million followers. Far ahead of the Delhi Police official account, which has over two lakh followers. Extremely responsive to complaints, their Twitter page is updated every few minutes with contact details of the area traffic inspector, as and when required. 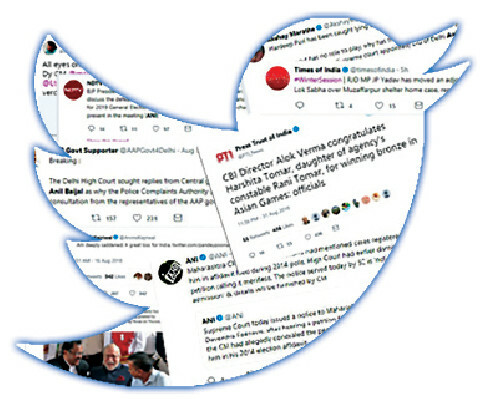 In an era where social media serves as a window to the rest of the world, news updates for many are largely restricted to these 280-character tweets. Roast them or retweet them. But you just can’t ignore them!